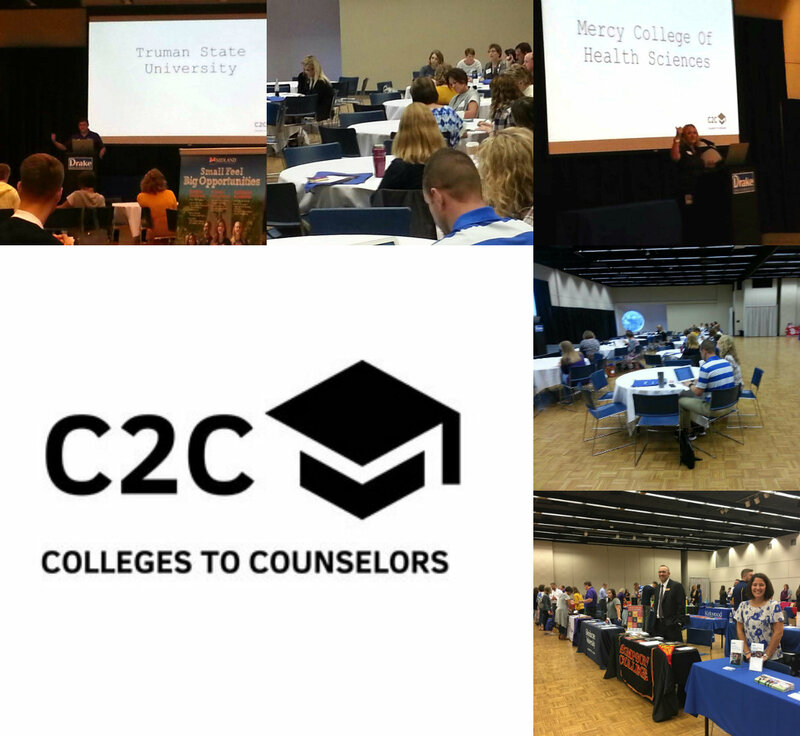 Iowa ACAC strives to create opportunities to connect high school counselors with postsecondary professionals and that is what C2C is all about! At C2C, high school counselors learned about multiple institutions and organizations in one day, optimizing their day out of the office. C2C brought the institutions/organizations to a central location of Drake University, where they were able to receive brief updates from each participant. From the postsecondary side, it was a great opportunity to get in front of 27 high school counselors to share any updates. C2C also included a college fair and lunch where high school counselors were able to ask questions and network with the participants. Overall, it was great to see such a wide variety of postsecondary members and high school counselors come together for C2C. On both sides of student services, we are always striving to learn in order to best serve the students that we work with as they go through the college search process. Iowa ACAC is excited to add another opportunity that allows professionals to do just that! Watch social media and our listserv for details on future C2C events this spring.